There's been a lot of speculation that Samsung Galaxy S4 won't meet its sales targets spurred after US investment bank JPMorgan released a report. Another bank, Morgan Stanley, also forecasts lower S4 sales. Samsung CEO JK Shin is doing some damage control after the company's shares fell 6% in the aftermath of the reports. 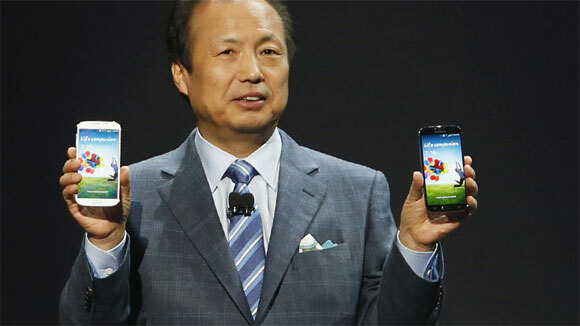 "I can say sales of the Galaxy S4 smartphone are fine. It’s been selling well. The report (by JPMorgan) was based on its own analysis. Probably, the bank may have corrected its previous bullish estimate about the S4 sales." Samsung reportedly informed major brokerages of the Galaxy S4 sales numbers, 10 million units were sold in the month after the launch. This comes several weeks after Samsung announced it has shipped 10 million Galaxy S4s. We'll have to wait for the Q2 financial report to get the whole story. Shin also dismissed rumors that Samsung is looking to resolve 50 patent disputes with Apple. Samsung recently won a ruling against Apple in the US about some AT&T models (the ruling hasn't come into the effect yet, it's in the 60-day Presidential veto window).